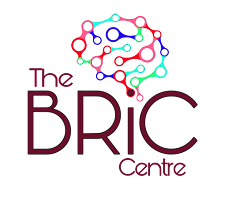 Naz introduced this week's discussion about 'hopes and dreams, goals and ambitions' by talking about her own ambition: The BRIC Centre, our private group, making a difference with her research, spreading the word all over the world. She speaks for all of us who have had a breast cancer diagnosis and her goal to bring women with primary and secondary breast cancer together. During active treatment (surgery, chemotherapy, radiotherapy) many of us felt our goals may be frozen as we lurch from one hospital appointment to another. Our focus is on getting through it one day at a time. We shared how our plans go on hold, we pause, develop new goals, redefined goals. We must change and practice flexibility, prioritising and self-care. However, we realised that women's experiences do not fall into neat categories - 'primary'; 'post-treatment'; 'secondary'; 'recurrence' but are much more complex and varied. A diagnosis of breast cancer can be shattering and we find we are both a different person and yet still in essence the same. 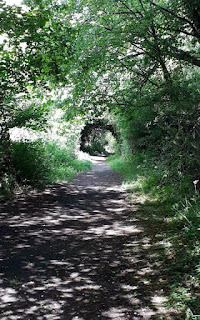 Some of us emerge from active treatment treatment with the expectation that our dreams and hopes can be addressed, only to find that we need to reconcile with our experiences and come to terms with them. Women with secondary breast cancer spoke about how hard it felt to know that treatment and all that goes with it will never end for them but said their hopes and dreams are still there. 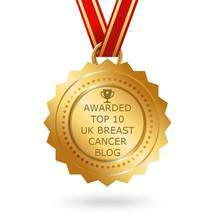 Whatever our different experiences as women with a diagnosis of breast cancer, there was a sense that we had in common a greater awareness of what it means to be alive, we can become much closer to our values, we experience a clarity and a determination to tune into what makes us happy rather than worrying about what others expect of us. Some of us slow down, choosing a quieter life, perhaps changing jobs or moving house or give up work (not always through choice but because their health prevents them from working). Many change the focus of their goals from themselves to others - we want to see children or grandchildren grow up and settle and achieve their ambitions. Others speed up and feel an energy to make the most of every moment, perhaps visiting far away places or undertaking physical challenges, taking up new hobbies, becoming creative, learning new things. We heard about women giving up regular jobs to earn a living creating things, to become a counsellor, to take up alternative therapies, to retire early. Others remain as career focused as before, and, like Naz experience a renewed determination to achieve their goals. Others choose to balance their ambitions with studying or part-time work. Some return to the same job but view it differently, perhaps choosing not to let things worry them and finding they can relax more easily when not at work. If self-employed we might decide to keep our business small rather than push for expansion. There was a general desire to minimise stress and to practise self-compassion. Some of us are aiming for a particular anniversary - a special birthday, a child coming of age, a wedding anniversary. Other women find themselves not wanting to set long term goals, choosing instead to live more in the present, although some admitted to finding this challenging. What really matters is time, time to love and be loved and of course we would all like to grow old. Weekly Discussion Summary ~ Be Positive!